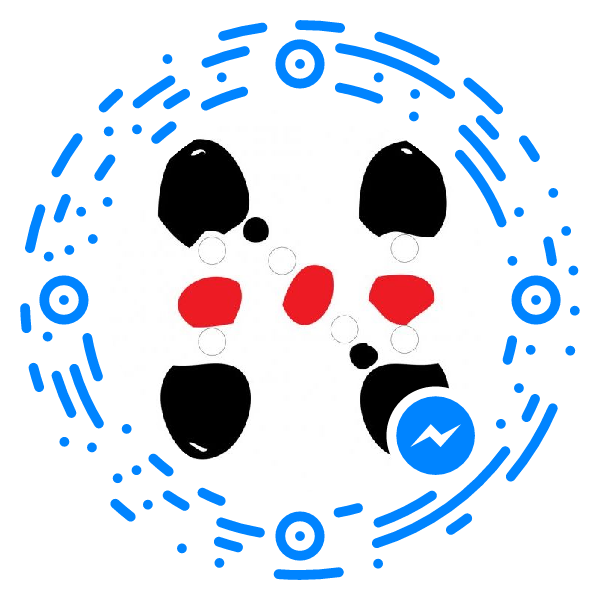 Scan the Messenger Code Above. Let's talk! To go to Tarnhelm Supply, click on the big T.
Need For Beads, Inc. offers designer jewelry by Gail Devoid, designer jewelry kits, and designer jewelry patterns. 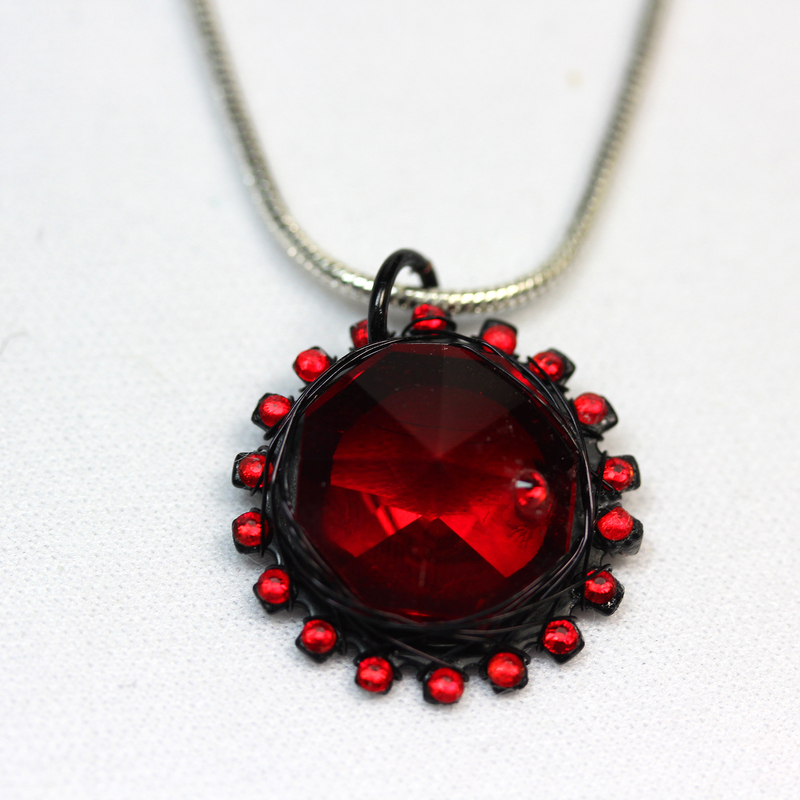 Free tutorials teach how to use stitches to create designer jewelry. Beading supplies available. We seek to offer you nothing but the best beads and custom designed jewelry. 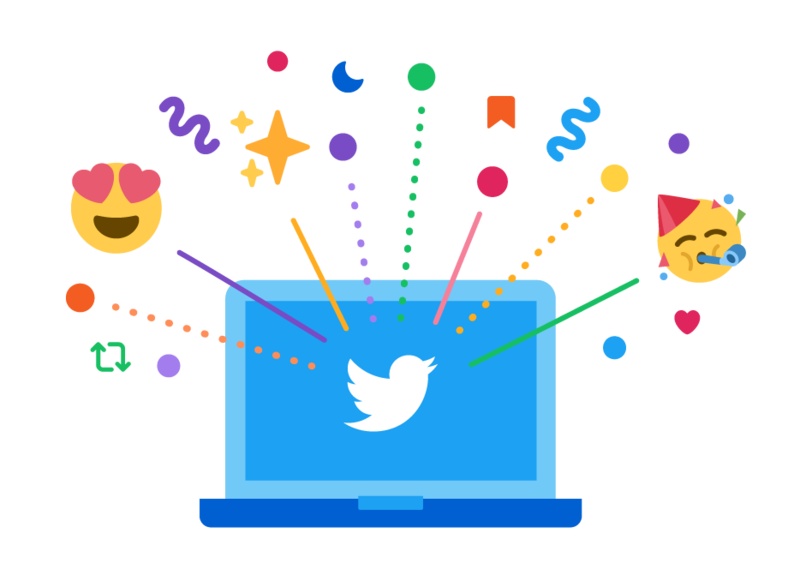 Please visit us often to see what's new. Gail Devoid has been recognized as a jewelry designer by Bead-Patterns.com, Bead Babe, and other jewelry designer experts. Gail was one of the original five Cousin Corporation of America's Creative Circle Ambassadors. 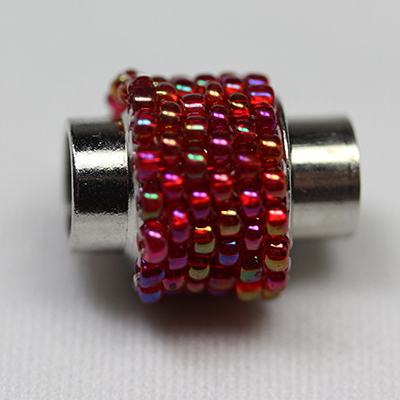 See About Me for more information on how Gail Devoid quickly achieved recognition as a jewelry designer, and how she came to be a designer jewelry maker using seed beads. These are my latest pieces. 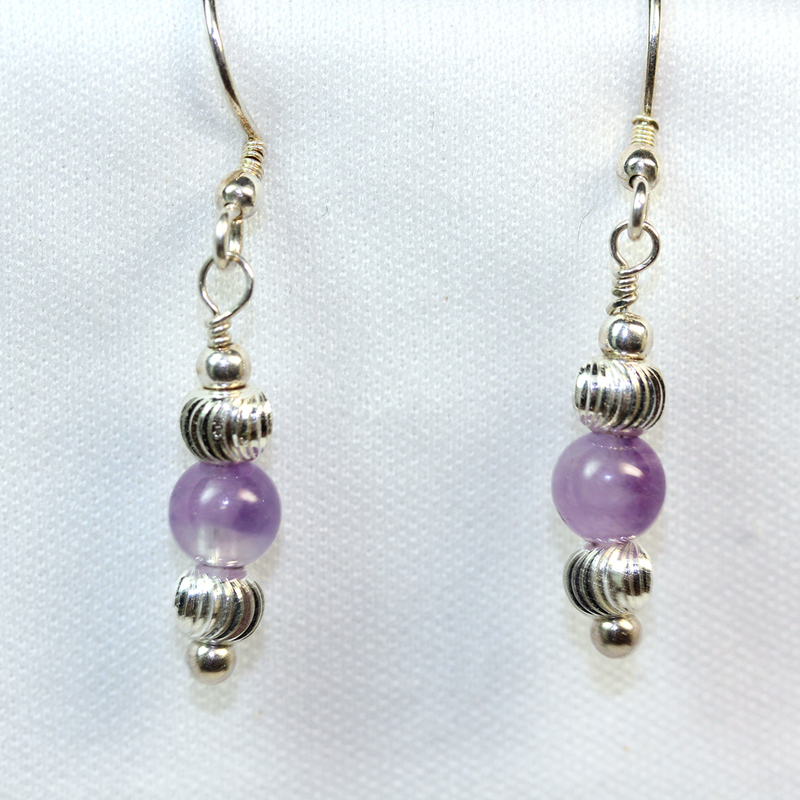 The first picture is a pair of earrings made with sterling silver beads and findings. Next piece are earrings to match the necklaceI made recently. Those are Delicas on carrier beads in lime green and purple. 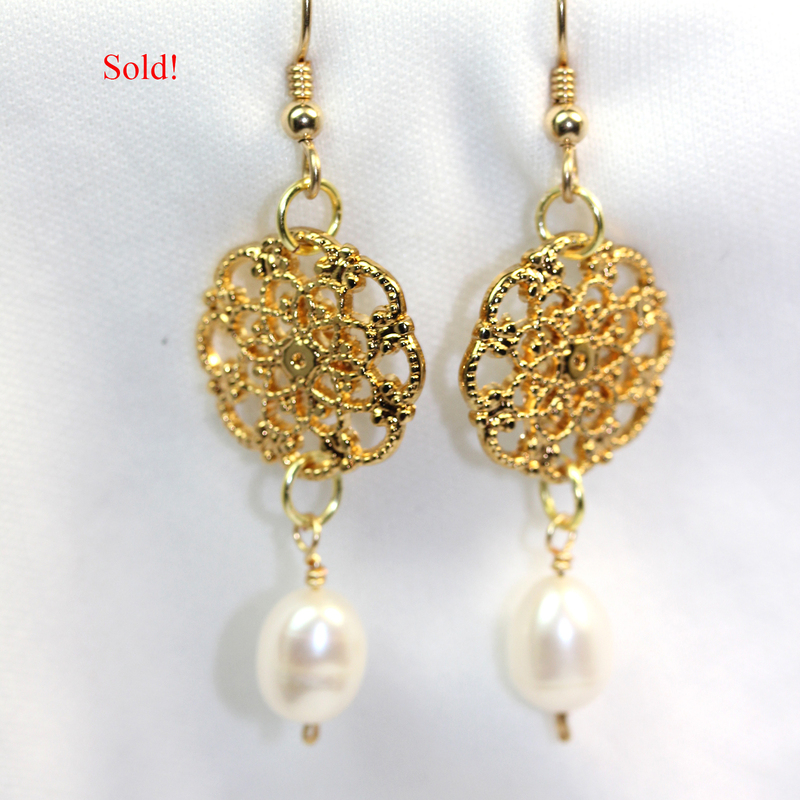 I found some antique earrings in my stash, and added South Seas pearls. I listed them, and they sold the same day. Need For Beads offers beads and jewelry-making supplies as well as completed jewelry. 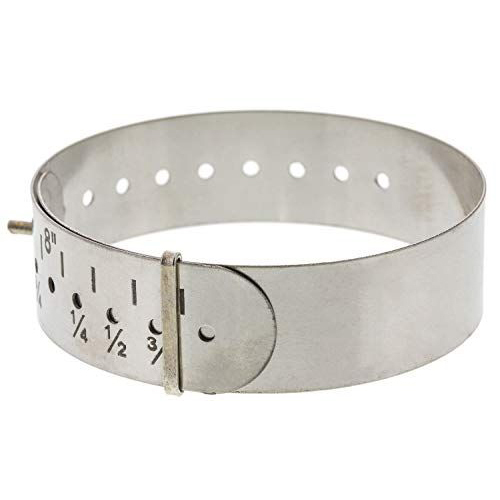 Bracelet measurement tool: Size your bracelets correctly for you and your customers. Kumihimo endcap and clasp set available in store. 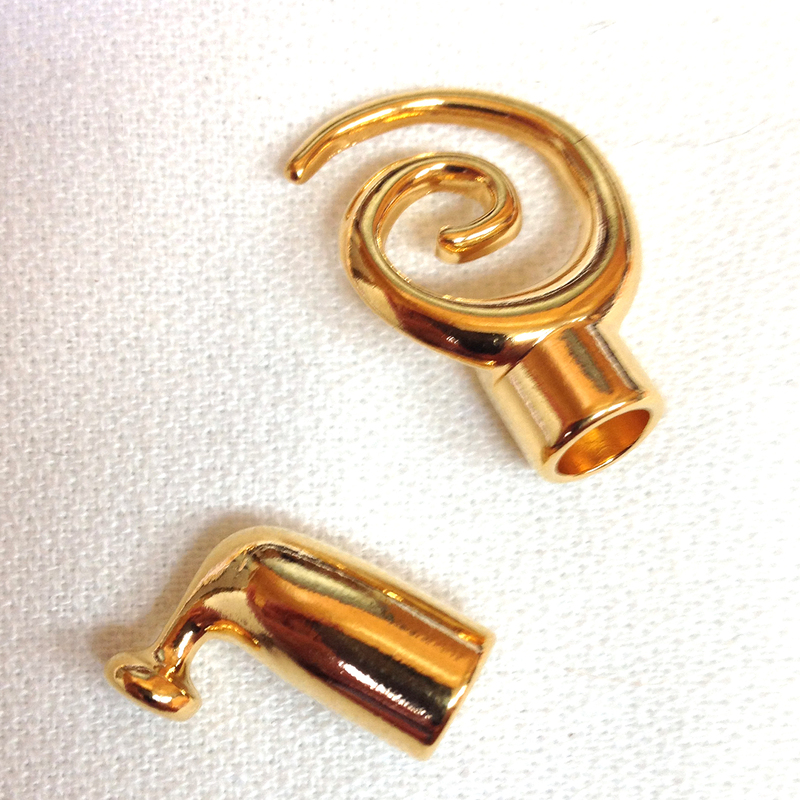 Design your own silver-plated clasp. 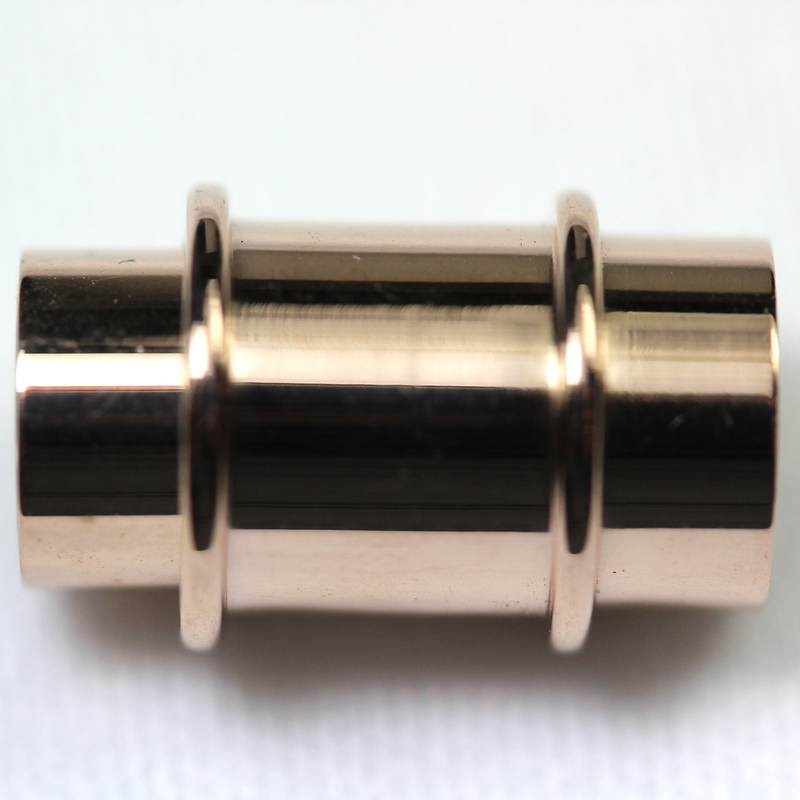 Design your own clasp in rose gold (plated). Learn to make jewelry that is distinctly yours. We can teach most stitches and methods. Wide variety of new shaped beads. We also offer instruction, both private and group classes. Check out free tutorials on different stitches.